Author Archives: Tenorshare Co., Ltd.
Tenorshare iPhone 5 Data Recovery is the top-ranking data recovery software which can easily recover all deleted or lost data directly from iPhone 5 without any backup files, and also quickly restore iPhone 5 data from iTunes backup files. With high functionality, it can save lost data from damaged, crashed, broken or smashed iPhone 5, and retrieve lost data after jailbreak, iOS upgrade, factory setting. 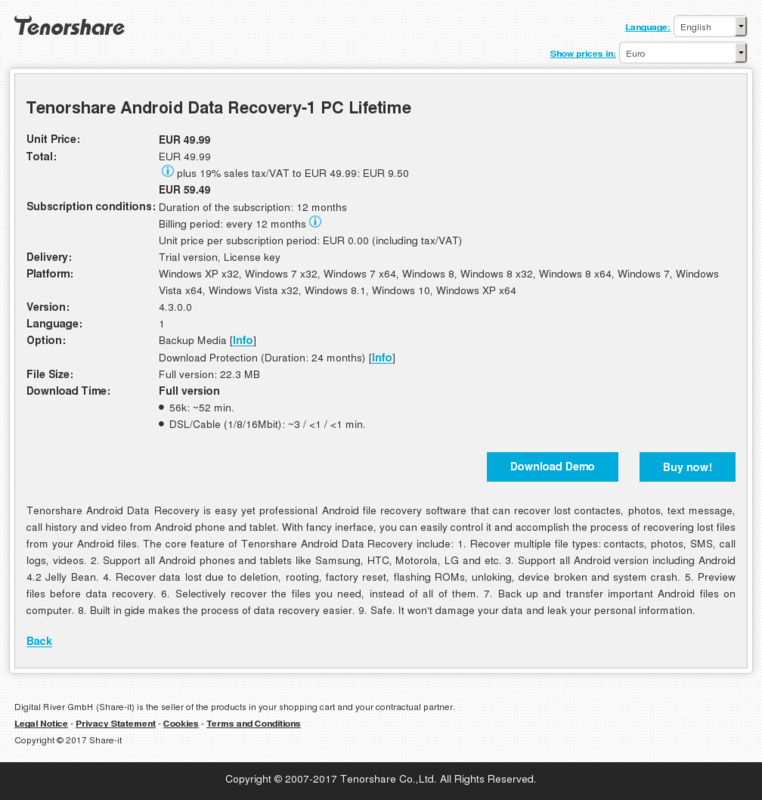 Besides, this data recovery software is highly adaptable to support all Windows platforms. 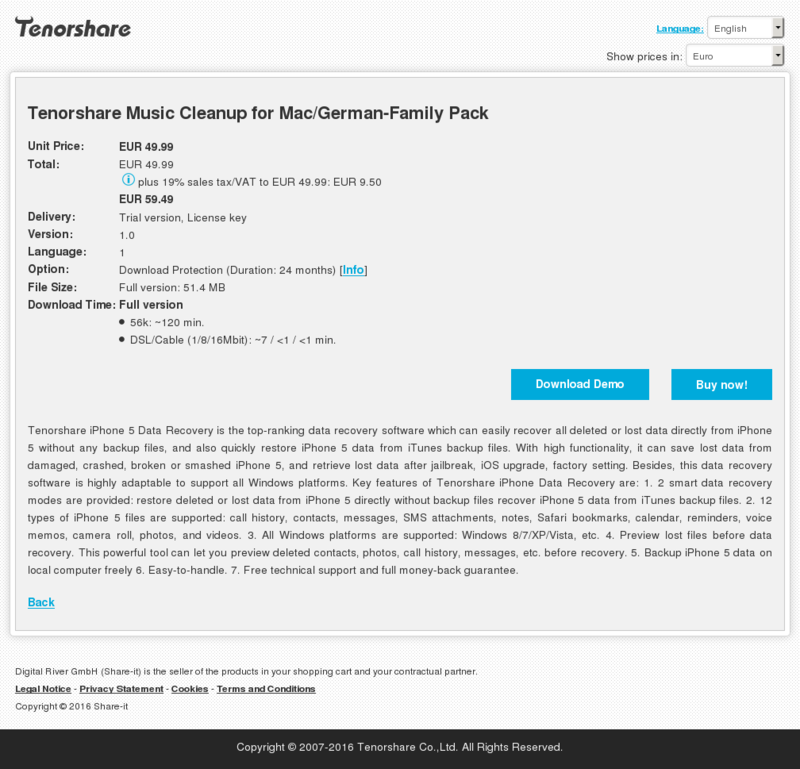 Key features of Tenorshare iPhone Data Recovery are: 1. 2 smart data recovery modes are provided: restore deleted or lost data from iPhone 5 directly without backup files recover iPhone 5 data from iTunes backup files. 2. 12 types of iPhone 5 files are supported: call history, contacts, messages, SMS attachments, notes, Safari bookmarks, calendar, reminders, voice memos, camera roll, photos, and videos. 3. All Windows platforms are supported: Windows 8/7/XP/Vista, etc. 4. Preview lost files before data recovery. This powerful tool can let you preview deleted contacts, photos, call history, messages, etc. before recovery. 5. Backup iPhone 5 data on local computer freely 6. Easy-to-handle. 7. Free technical support and full money-back guarantee.